The end of the waiver system in Galway will see many of the city's most vulnerable having to pay €170 extra a year for refuse services, while changes to the refuse system across the State have been branded by a local councillor as yet another "stealth charge". More than 2,000 Galwegians will have to pay the €170 extra this year. Independent Galway West TD Noel Grealish, says these will disproportionately be households with limited means, particularly older people. He estimates that end of the waiver brings bills, services, and charges for such people to c€1,000 - a cost exacerbated by the scrapping of the phone allowance, a cut in the free fuel allowance, the reduction in the free electricity allowance, the hike in prescription charges from c50 to €2.50, water charges, and the property tax. “It is mistakenly believed older people have been kept safe from the austerity measures because the maximum State pension was not reduced," Dep Grealish said at an election hustings in the Westwood Hotel, organised by Age Action and Active Retirement Ireland. "The vast majority of these people were on a fixed income and do not have the capacity to increase their earnings." According to Dep Grealish, about 80 per cent of those aged over 65 in Ireland rely on the State pension as their main source of income. As a result he is calling for the next Government to introduce a Minister for Children and Older People. However all Galwegians will be affected by changes to the refuse collection system. From next summer, households will move from a flat-rate charge to a more rigorous pay-by-weight waste collection system, but claims by controversial Environment Minister Alan Kelly that it will save homeowners 87 per cent on their bills have been rubbished by Sinn Féin. Sinn Féin Galway City East councillor Mairéad Farrell said it had little to do with concern for the environment, or to increase recycling rates, and was instead "another example of the Government’s fixation with crippling ordinary householders with stealth charges and taxes". She is also concerned Minister Kelly will give recycling companies ‘free rein’ to "effectively charge anything they like for future waste collection". "You would think Minister Kelly would have learned his lesson with the property tax and water charges," she said. "His farfetched claims that this latest decision will work out cheaper for households will fool no one. I also fear it will increase the rate of illegal dumping, as people cannot afford the extra charges and, in this much, will prove self-defeating." 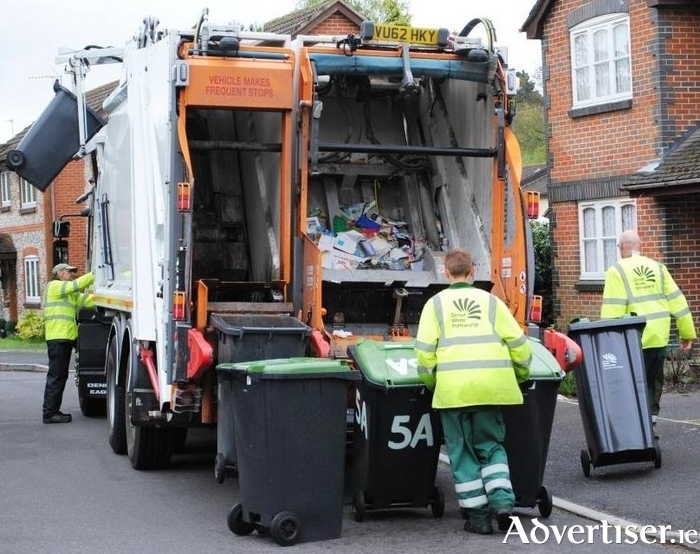 Cllr Farrell said the new charges are a consequence of the privatisation of the waste services. “I recently highlighted the scandal of the bin waiver being abolished for the most vulnerable families in Galway and now we are being told that they will also be forced to pay for waste which can be recycled," she said. "I can imagine how this news will be received by the 98,000 families in mortgage distress or the hundreds of thousands who have yet to feel any benefit from the Government's so called recovery."